Barquero, with bruises all over his body, writes from Kathmandu’s airport on his way back to Majorca. His skin shows the fire and ice engraved scars the mountain has given him. He finds deeper and more intense marks than he would have expected in his mind and in his heart. He feels like a new man. I’ve lost nine kilos in about two weeks. My fingertips are slightly frostbitten and both my nose and the right side of my face are burnt because of the icy wind on the Himlung’s summit. One of my toe nails, which looks black today as I got hit by a rock while descending, will fall off in a couple of months. All these dents in my chassis make up for the most intense physical and mental experience of my whole life. I may have lost weight, but I the experiences I have put on will last in my memory longer that the bruises. The high mountain changes the inner concept of need forever. You cannot do without water, food or oxygen. The rest of things is a part of the evolution of our standards of life and of a never ending consumerism. Not shivering like a cocktail shaker and enough air in your lungs to be able to move are the only things you ask for at 7,000 metres high. Everything else disappears from your immediate perspective. These are physical needs. Your heart also requests its food. You miss your loved ones in those long hours you spend in the dark of your tent and you would like that hug the mountain will never give you. Communication wasn´t easy from base camp and I could sense anguish on the other side of the satphone due to the lack of news. I saw a beautiful mountain five years ago and I had a dream. Today, my dream has come true thanks to the support of Hotels VIVA. 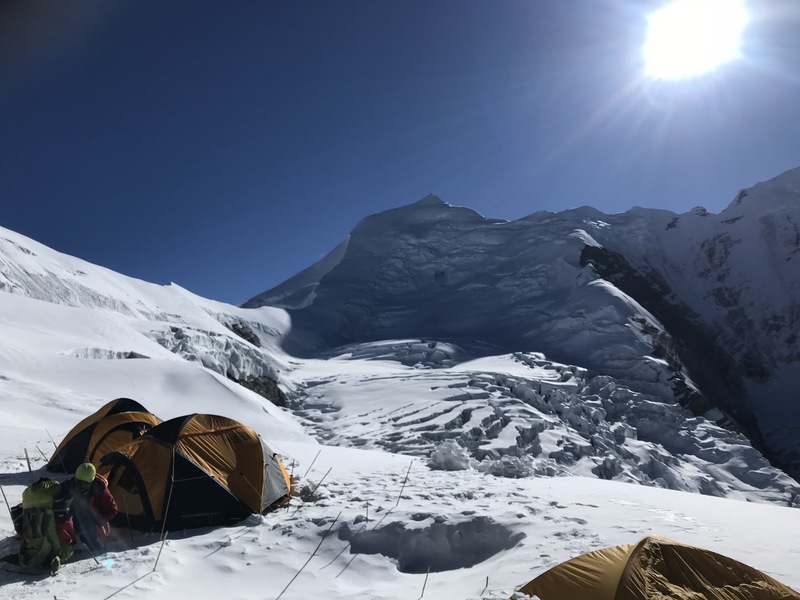 The Himlung’s expedition has been, of course, a physical and mental challenge, but it has also been a deep and intense process of personal exploration. One person climbs up a mountain like the Himlung but, somehow, a different one climbs it down. One checks his own ability to push his limits beyond the imaginable to pull down fears and overcome adversity. You also become aware of weakness, of our finitude and the extreme vulnerability before the magnificence of Nature. I am thinking about all this in the waiting lounge of the Kathmandu’s airport when I am about to board the plane to return to Majorca. I feel very lucky to have lived this experience, to have met people able to understand a dream like mine and to support me to make it come true. People like Pedro Pascual, CEO and founder of Hotels VIVA, a man who has had to climb up several 7,000-metre-high mountains in his life. He has had to confront an 8,000 metre-high one lately. I am sure he will ascend this one, too. 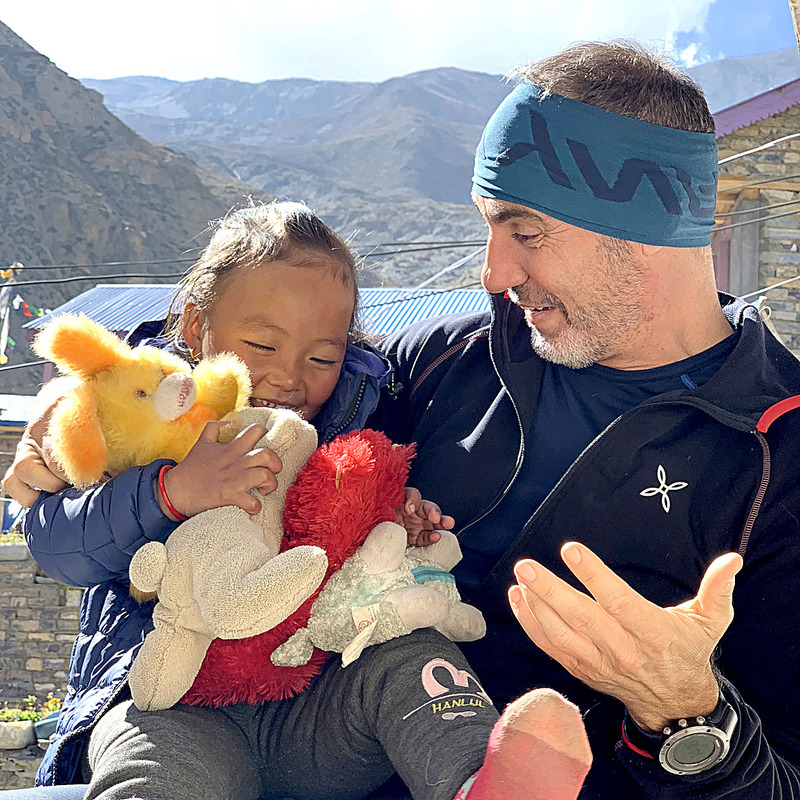 In spite of everything, he has had the time and the drive to push my passion and has made me feel he was close to me even if the Himalayan distance separated us. The same as so many loved people who worried about me on those days. Thank you all for sharing my dream.